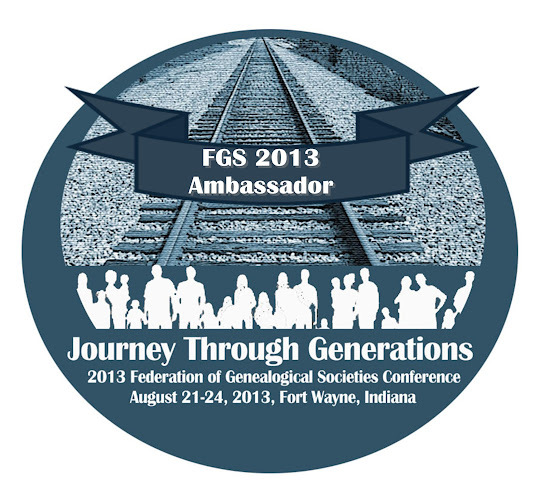 I received an email yesterday, from the Southern California Genealogical Society (SCGS), informing me that registration for the 2013 Jamboree Extension Webinar Series is now open. SCGS holds two live webinars each month and they have a great lineup for 2013. The live sessions are free and open to the public. As an added benefit to SCGS members, recordings of the webinars are available to them through the members-only section of their website. Be sure to check out the whole list and register. I like to register early and have them on my calendar so I can plan around the ones I really don’t want to miss.